Nicholas David took the stage tonight on THE VOICE for his Top 10 video performance. David sang “Lean on Me” by Bill Withers. Tonight’s show the top 10 perform live in front of coaches Christina Aguilera, Adam Levine, CeeLo Green and Blake Shelton for America’s vote and a chance to move on to the elite eight. Did you miss tonight’s episode? If you did we watched it and we recapped it here for you. Judges’ Comments: Team Cee Lo’s Nicholas David is up next with Lean On Me. I’ll admit I hate this song but this guy makes it sound better than most. He is also backed by a full choir. 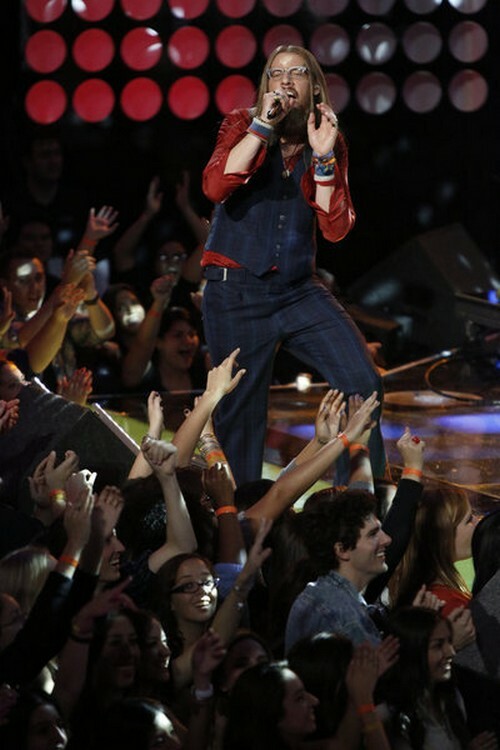 Adam loved how he lost control while singing and owned it. Blake felt like he was watching a legend and the whole thing soothed Christina’s soul.